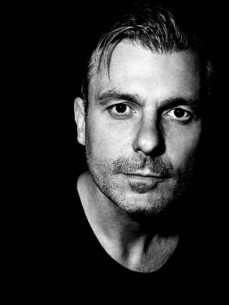 Darren Emerson is one of the most influential figures in dance music, with a 17 year career that has seen him work with everyone from Depeche Mode to Jamie Cullum. His success is evident in the numerous million-selling hit albums and singles he has been a part of and his stunning DJ skills. When he turned 18, Karl Hyde invited him to become the third member of techno band Underworld. 1993's dubnobasswithmyheadman was their commercial breakthrough onto the then burgeoning British electronica scene. While working on their second album, 1996's Second Toughest in the Infants, they released the single "Born Slippy", which was an instant hit following its inclusion on the soundtrack to the movie, Trainspotting. During his time with Underworld, the band released three albums and sold over a million albums world wide. Darren parted ways with Underworld in 2000 and then concentrated more on his solo career as a DJ and remixer, and also a label owner. He continued to release tracks by himself and new artists on the Underwater records label and eventually gained its own night at super club Pacha, Ibiza alongside fellow DJ Erick Morillo. During its second summer at Pacha, his Underwater Records night won 'House Event' of the summer at the DJ Magazine awards. The first collaboration saw Emerson and DJ cohort Sasha produce the Ibiza classic ‘Scorchio'. Two Global Underground compilations soon followed; ‘Uruguay' and ‘Singapore'. In 2003 Underwater was voted label of the year by DJ Mag.